Stephen Lankton, MSW, DAHB, trained under Milton H. Erickson, M.D. from 1975 to 1979, and his efforts at promoting and interpreting Erickson’s approach to hypnosis and therapy at the highest academic levels resulted in the inclusion of chapters in several scholarly publications edited by other luminaries in the field. 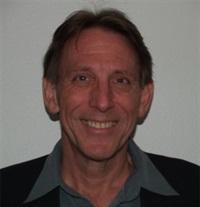 He is a LCSW psychotherapist in a private practice in Phoenix, Arizona, Lankton conducts workshops internationally (24 countries).